They used to be something knitted by granny and they would be quickly exiled to the back of our closets, but now, the Xmas jumpers are out and proud! Trendsetters like Fearne Cotton, Lauren Conrad and Alexa Chung have been spotted wearing their festive wollies, so what are you waiting for? 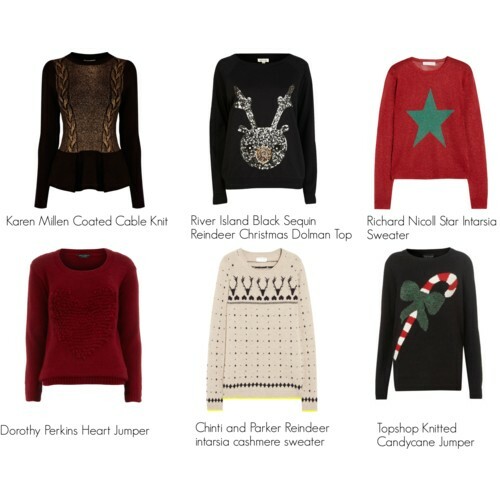 To help you, we've chosen the most stylish xmas jumpers and paired them with skinny jeans, ballet flats, a structured bag and a trench coat to keep you warm and fashionable. This cosy look will be perfect for coffee with the girls, or a shopping spread. Inspire yourself and get in the jolly mood of Christmas holidays!